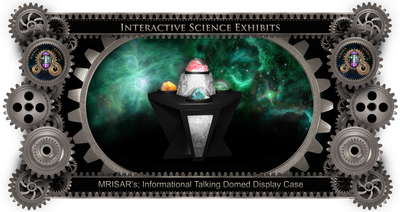 If you have exhibit specimens that need an unique, attractive protective covering, display mounting, audio feedback, space for written explanations and specialty accent lighting, we can build the ideal case for you. 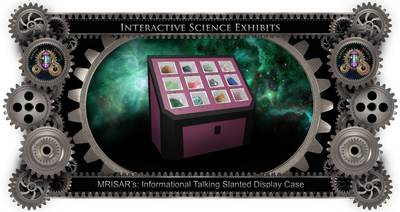 The see through tops of the exhibit cases are made with unbreakable polycarbonate material or break resistant acrylic and beveled to increase public safety and the safety of your specimens. Voice technology allows multiple message recordings and re-recordings. A Solar powered version is available at no additional cost. 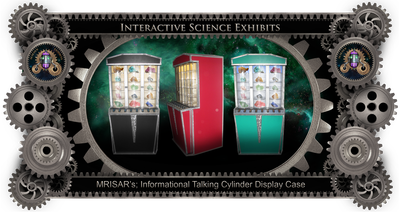 Many case colors are available to compliment your current exhibit selection.